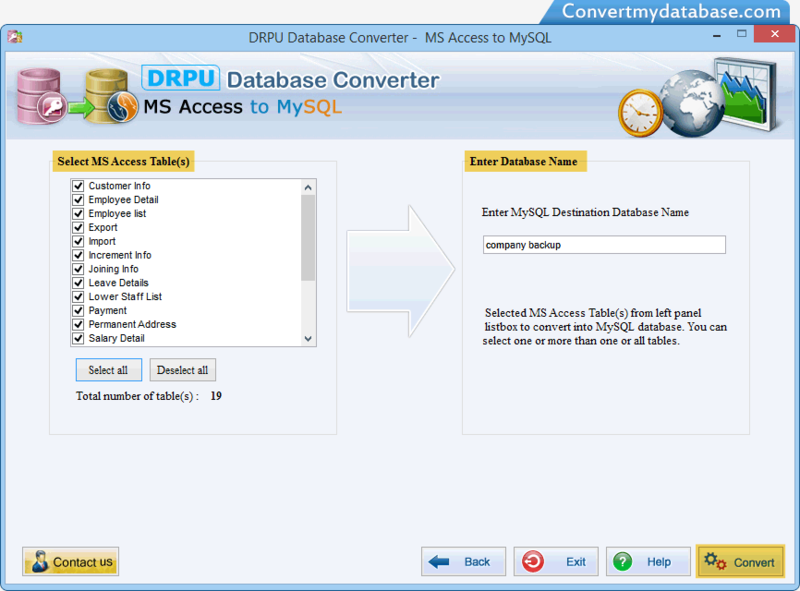 Select MS Access Database and enter all required field to establish connection between MS Access and MySQL server. 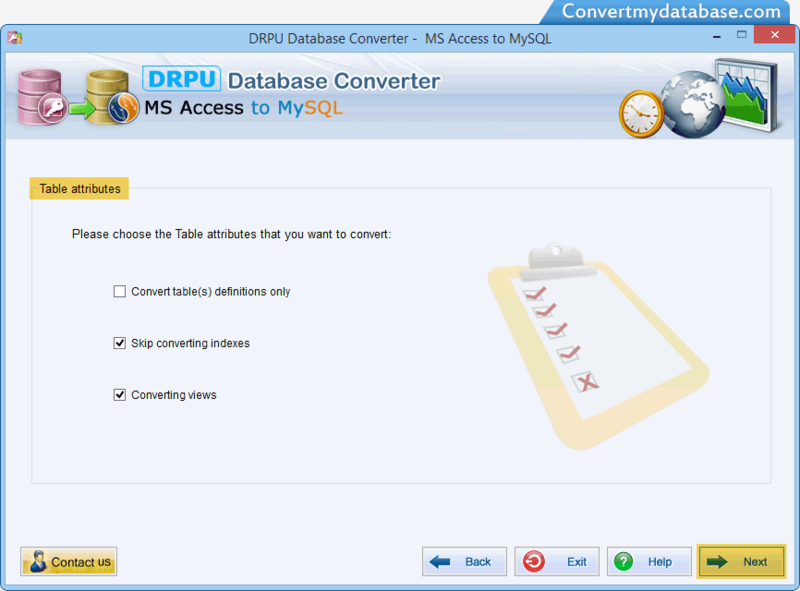 Choose the table attributes that you want to convert: Select 'convert tables definitions', if you want to convert only table structure. If you do not want to convert indexes, select 'skip converting indexes'. 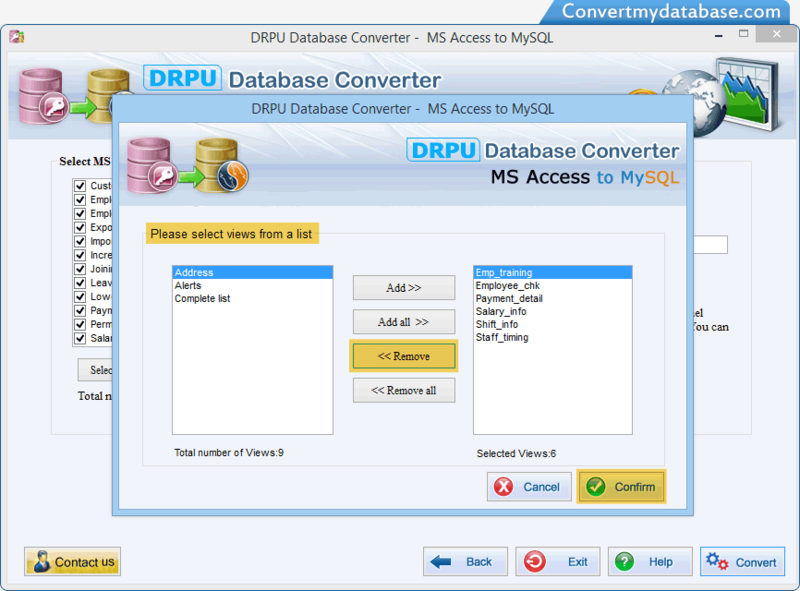 You can also select 'converting views', if you want to convert views. 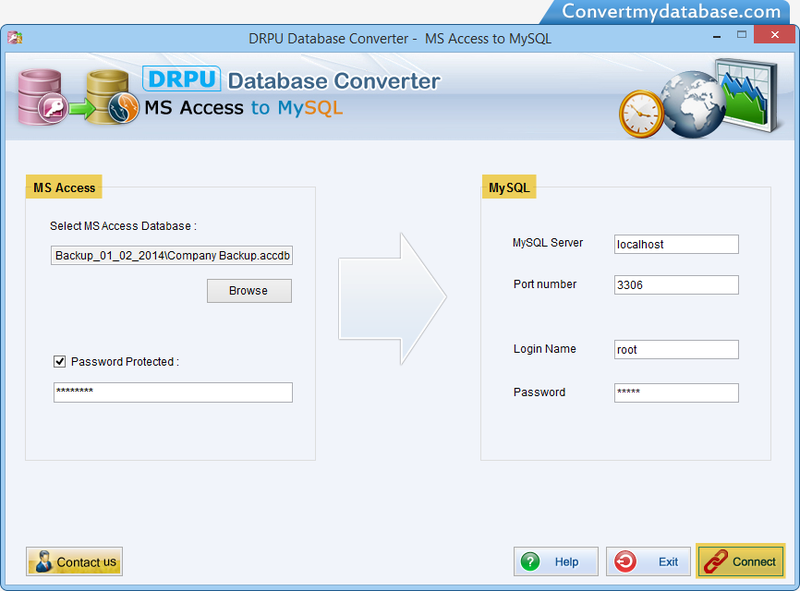 Select MS Access Table, enter MySQL Destination Database Name, and click Convert button to convert database. Select views from a list. You can add, add all, remove, remove all views from a list and click 'Confirm' button. As you can see that conversion process is going on. 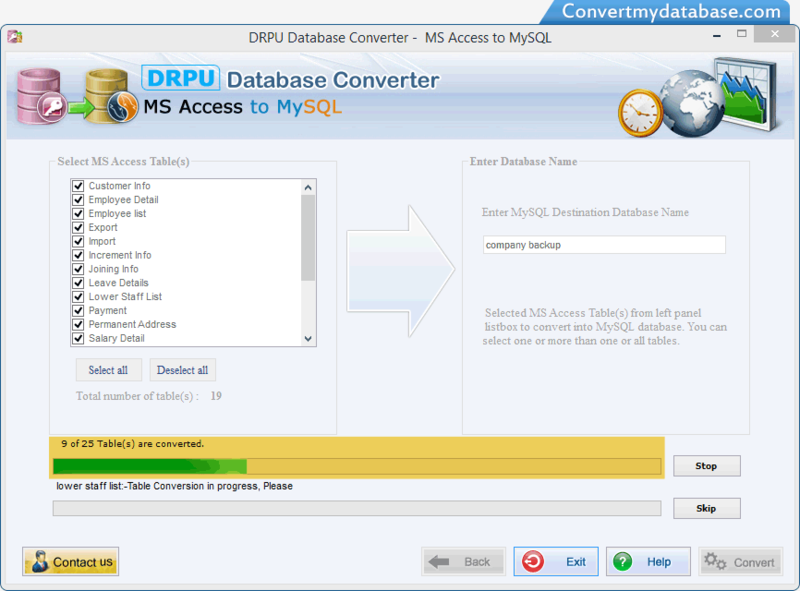 To abort the ongoing Database conversion process, Click 'Stop' button. If You want to skip any particular table then you can use 'Skip' button.